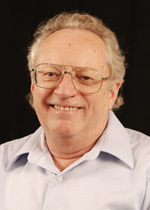 Dr. O’Malley received his Ph.D. degree in Psychology from the University of Michigan in 1975. His primary affiliation is with the Monitoring the Future study, funded by the National Institute on Drug Abuse. He is also affiliated with the Youth, Education, and Society study funded by the Robert Wood Johnson Foundation. His publications deal with alcohol, tobacco, and illicit drug use and related attitudes and beliefs, and with obesity among secondary school students. His research interests include causes and consequences of drug use, driving under the influence of alcohol or drugs, social epidemiology of drug use, school policies and practices related to student health, and longitudinal survey data analysis techniques. Keyes, Katherine M.; Gary, Dahsan S.; Beardslee, Jordan; Prins, Seth J.; O'Malley, Patrick M.; Rutherford, Caroline and Schulenberg, John E. (2018). Age, Period, and Cohort Effects in Conduct Problems among American Adolescents from 1991 through 2015. American Journal of Epidemiology, 187(3), 548-557. Terry-McElrath, Yvonne M.; O'Malley, Patrick M.; Patrick, Megan E. and Miech, Richard A. (2017). Risk is Still Relevant: Time-Varying Associations between Perceived Risk and Marijuana use among US 12th Grade Students from 1991 to 2016. Addictive Behaviors, 74, 13-19. Evans-Polce, Rebecca J.; Patrick, Megan E. and O'Malley, Patrick M. (2017). Prospective Associations of 12th-Grade Drinking Intensity and Age 19/20 Driving-Related Consequences. Journal of Adolescent Health, 61(3), 389-391-391. Patrick, Megan E.; Schulenberg, John E. and O'Malley, Patrick M. (2016). High School Substance use as a Predictor of College Attendance, Completion, and Dropout: A National Multicohort Longitudinal Study. Youth & Society, 48(3), 425-447. Brown, Sandra; Zucker, Robert; Patrick, Megan E. and O'Malley, Patrick M. (2016). The Epidemiology of Substance use among Adolescents in the United States. In Brown,S. and Zucker,R. A. (Ed. ), The Oxford Handbook of Adolescent Substance Abuse. Oxford University Press:New York. Keyes, Katherine M.; Wall, Melanie; Cerdá, Magdalena; Schulenberg, John E.; O'Malley, Patrick M.; Galea, Sandro; Feng, Tianshu and Hasin, Deborah S. (2016). How does State Marijuana Policy Affect US Youth? Medical Marijuana Laws, Marijuana use and Perceived Harmfulness: 1991-2014. Addiction, 111(12), 2187-2195. Terry-McElrath, Y. M. and O'Malley, Patrick M. (2015). Trends and Timing of Cigarette Smoking Uptake among US Young Adults: Survival Analysis using Annual National Cohorts from 1976 to 2005. Addiction, 110(7), 1171-1181. Patrick, Megan E. and O'Malley, Patrick M. (2015). Trends in Drug use among Youth in the United States. (Chpt 3), 51-65. In Scheier,Lawrence M. (Ed. ), Handbook of Adolescent Drug use Prevention:Research, Intervention Strategies, and Practice. American Psychological Association:Washington, DC. Hasin, Deborah S.; Wall, Melanie; Keyes, Katherine M.; Cerdá, Magdalena; Schulenberg, John E.; O'Malley, Patrick M.; Galea, Sandro; Pacula, Rosalie and Feng, Tianshu (2015). Medical Marijuana Laws and Adolescent Marijuana use in the USA from 1991 to 2014: Results from Annual, Repeated Cross-Sectional Surveys. The Lancet Psychiatry, 2(7), 601-608. Keyes, Katherine M.; Jager, Justin; Hamilton, Ava; O'Malley, Patrick M.; Miech, Richard A. and Schulenberg, John E. (2015). National Multi-Cohort Time Trends in Adolescent Risk Preference and the Relation with Substance use and Problem Behavior from 1976 to 2011. Drug and Alcohol Dependence, 155, 267-274. Schulenberg, John E.; Patrick, Megan E.; Kloska, Deborah D.; Maslowsky, Julie; Maggs, Jennifer L. and O'Malley, Patrick M. (2015). Substance use Disorder in Early Midlife: A National Prospective Study on Health and Well-being Correlates and Long-Term Predictors. Substance Abuse: Research and Treatment, Suppl., 41-57. McCabe, Sean E.; Schulenberg, John E.; O'Malley, Patrick M.; Patrick, Megan E. and Kloska, Deborah D. (2014). Non-Medical use of Prescription Opioids during the Transition to Adulthood: A Multi-Cohort National Longitudinal Study. Addiction, 109(1), 102-110. O'Malley, Patrick M. (2014). A Review of Studies of Drinking Patterns in the United States since 1940. Journal of Studies on Alcohol and Drugs, Supplement(S17), 18-25. Terry-McElrath, Yvonne M. and O'Malley, Patrick M. (2011). Substance use and Exercise Participation among Young Adults: Parallel Trajectories in a National Cohort-Sequential Study. Addiction, 106(10), 1855-1865. Tworek, Cindy; Yamaguchi, Ryoko; Kloska, Deborah D.; Emery, Sherry; Barker, Dianne C.; Giovino, Gary A.; O'Malley, Patrick M. and Chaloupka, Frank J. (2010). State-Level Tobacco Control Policies and Youth Smoking Cessation Measures. Health Policy, 97(2-3), 136-144. O'Malley, Patrick M. (2009). Monitoring the Future. In Korsmeyer,Pamela and Kranzler,H. R. (Ed. ), Encyclopedia of Drugs, Alcohol Addictive Behavior. Macmillan Reference USA:Detroit. Schulenberg, John E. and O'Malley, Patrick M. (2009). Get High with a Little Help from My Friends: Implications of the Historical Covariation of Cannabis use and Evenings Out. Archives of Pediatrics & Adolescent Medicine, 163(2), 183-184. Nelson, David E.; Mowery, Paul; Asman, Kat; Pederson, Linda L.; O'Malley, Patrick M.; Malarcher, Ann; Maibach, Edward W. and Pechacek, Terry F. (2008). Long-Term Trends in Adolescent and Young Adult Smoking in the United States: Metapatterns and Implications. American Journal of Public Health, 98(5), 905-915.